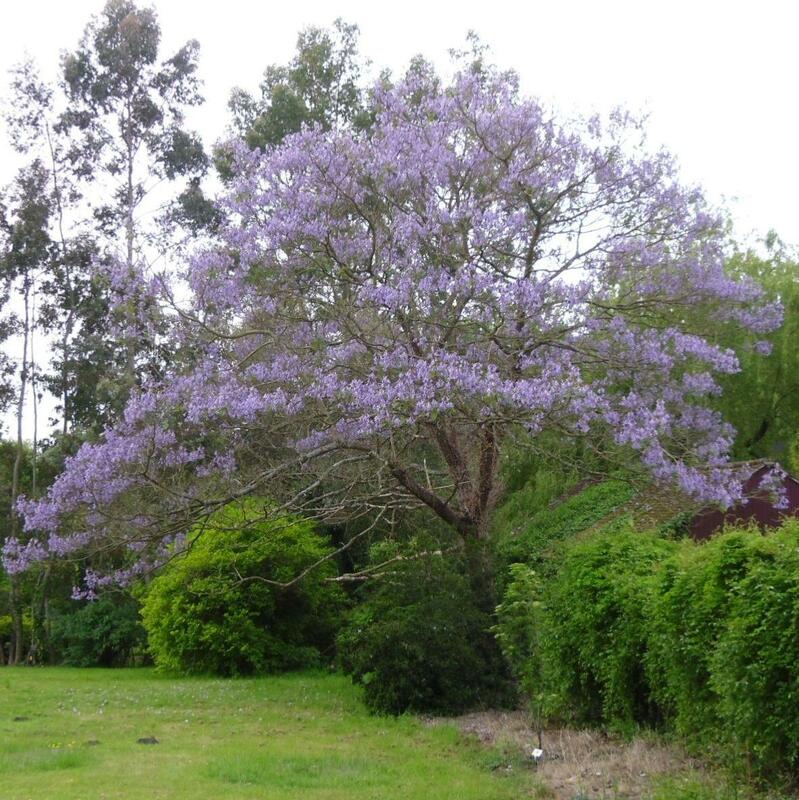 The Empress tree when in full flower is one of the most magnificent of all hardy trees. 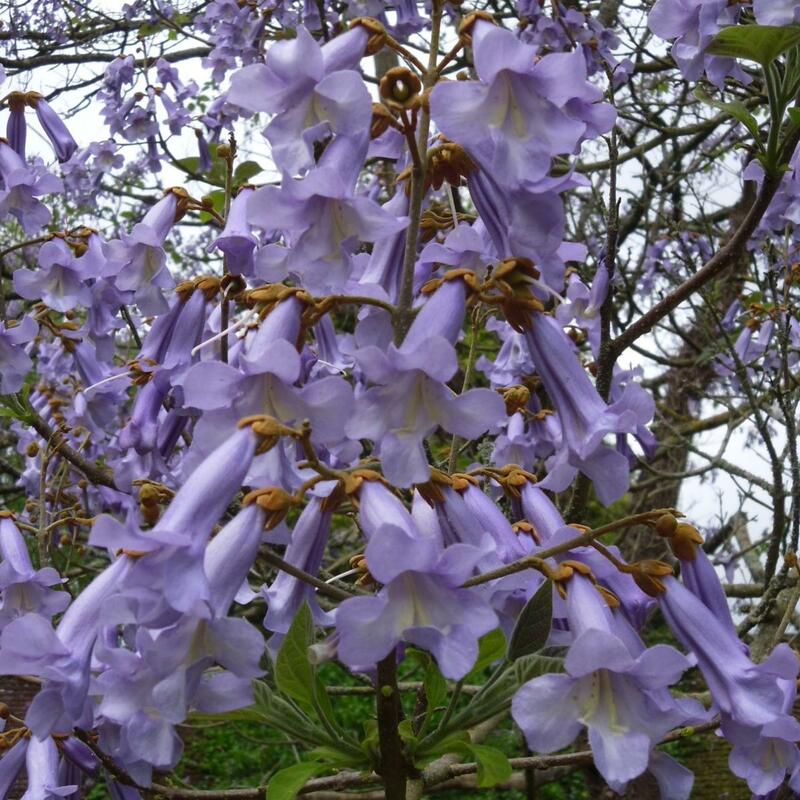 Its violet blue flowers which resemble foxgloves are produced in summer before the leaves appear. When viewed from afar they can look like the Jacaranda tree, but its other common name of foxglove tree easily differentiates the two, with upright spikes of flowers. The foliage also is quite remarkable especially when the tree is young. The huge felted heart shaped leaves can be as much as 60cm across on juveniles. These trees can absorb ten times more carbon dioxide than any other tree and also expel huge amounts of oxygen. Although native to western and central China, the foxglove tree has for a very long time been cultivated elsewhere, and no more so than in Japan where it is known as Kiri and is of great value both symbolically and for its fine timber and also known as the Princess tree. The wood is a high-quality material closely associated with female identity in Japan, and it was once customary to plant a tree when a baby girl was first born. The very fast-growing tree would then mature alongside the girl and would be cut down upon her marriage and made into wooden articles for her dowry. 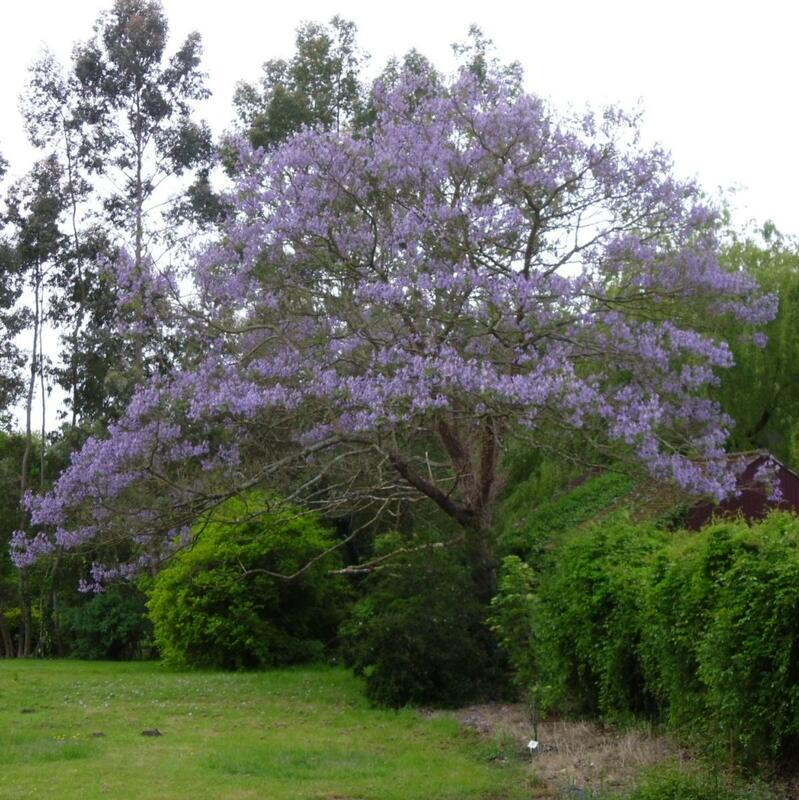 Paulownia tomentosa remains a deeply symbolic tree in Japan to this day. A stylised image of the foliage and flowers are depicted in the seal of the office of the Prime Minister which also serves as the emblem of the Japanese government. 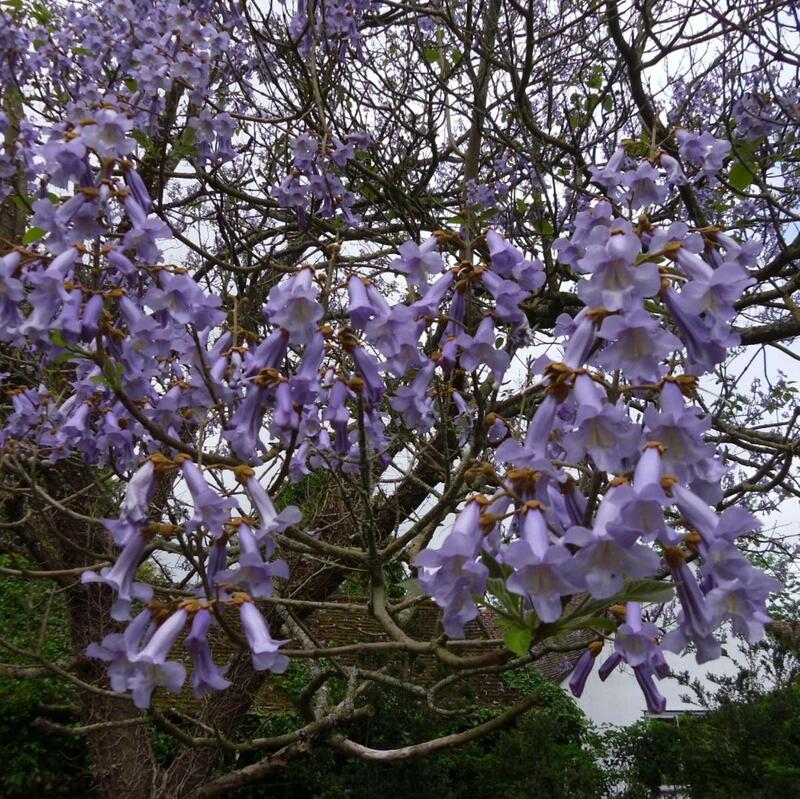 Paulownia was named, originally as Pavlovnia, by the German born father of the Japanese flora, Philipp von Siebold who is commemorated himself in the botanical names of so many Japanese native plants. It was named for the daughter of the Romanov Tsar, Paul I of Russia, Anna Pavlovna, who married the Prince of Orange and became Queen consort of the Netherlands.